Gophers are rodents that live in Northern and Central America. They dig vast underground tunnel systems, where an individual tunnel is about 15 metres long. Many areas they live in are surrounded by impassable mountain ridges, thus allowing Gophers to live in peace and serenity. This way, more than 180 subspecies of Gophers have already developed. Gophers reach up to 25 cm in length, while females are generally smaller than males and they can reach a weight of up to 500 grams. They are equipped with the powerful claws and teeth, designed for digging huge tunnel systems. The tail also plays an important role – it is used to navigate and find way as the Gopher moves backwards through the tunnels. Gopher’s cheek bags are used to store food and move it from one place to another. Gophers prefer territories used by humans with a deep, humid soil, where the Gophers can dig their tunnels with little effort. They can also, however, be found in desert regions and mountain meadows. Gophers dig tunnels with their forelegs, that are equipped with long, sharp claws. Tunnel systems are complex, having multiple entrances, and areas for storing food and sleeping. These mammals are solitary, and they protect they furiously protect their territories from other individuals. Gophers don’t often leave their home territory. 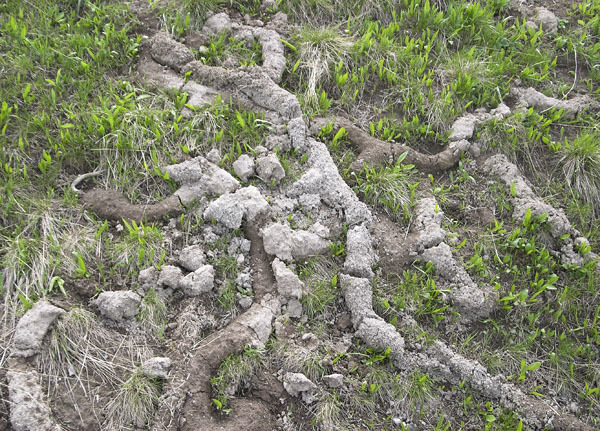 The more scarce is food in the territory, the more often Gophers move, looking for more suited places to live. They feed solely on vegetation, eating almost any green part of any plant. When feeding, they stuff their cheek bags full of food, which are later stored in the storage areas of their tunnels. Most Gopher females give birth at least once a year. Specimen that live in farmland areas, that are abundant in food and water, can mate all year round, reproducing at a steady rate. Gopher populations living in more wild territories, mate only at a certain time of the year and their overall reproduction rate is lower. Gestation lasts for 17-20 days and mostly 5 cubs are born. The cubs are born fairly undeveloped and they require great care from the mother. The new Gophers open their eyes for the first time and start hearing only about 25 days after being born. Fur develops even slower – Gophers of some species need up to 100 days to grow a full coat. Cubs stay with their mothers for quiet a long time and start their own independent lives only after three to four months. Gopher’s life expectancy is about 4 years in the wild. Currently in Northern America they do great damage to crop fields and a serious fight is happening between these animals and farmers. Still, in farmland areas, the conditions are perfect for Gophers to reproduce quickly, thus their numbers are still not depleting, despite the farmers’ efforts.